Ultimate entertainment destination signs with first national partner. Dallas, Texas - April 4, 2019: Main Event Entertainment is excited to announce it has signed on as an official sponsor of Special Olympics, the world’s largest organization for children and adults with intellectual disabilities. To raise funds to support Special Olympics, Main Event guests can donate any amount, $1 or more, to Special Olympics anytime they are in the entertainment center. 100 percent of the funds donated will go directly to Special Olympics and will be used for various events and activities. 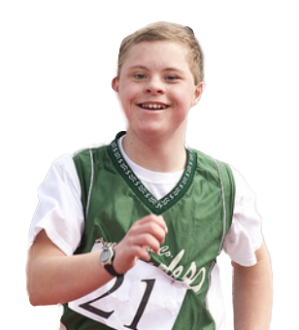 In addition, Main Event will be hosting a national fundraiser from February 20 through April 16 at all 42 Main Event locations where each center will sell Special Olympics insignias that guests can post in the center. Each Main Event center features state-of-the-art bowling, multi-level laser tag, billiards, and more than 100 of the latest interactive arcade games. And whether you’re looking for a chef-inspired casual dining experience—with delicious shareables like wings, loaded nachos, oven-baked artisan pizza and more in a full-service American-fare grill—or handcrafted cocktails in a high energy sports bar surrounded by big screen TVs, Main Event is a FUN place to hang out, watch the big game and challenge your friends to a game or two.